Since the very beginning of Astroneer I’ve had the opportunity to watch the game develop through a lens that is uniquely mine: I live and work from Canada, while the rest of System Era works from our office in Seattle. I recently flew out to the studio, something I’ve done a few times over the last 3 years, to be with the team for a week. 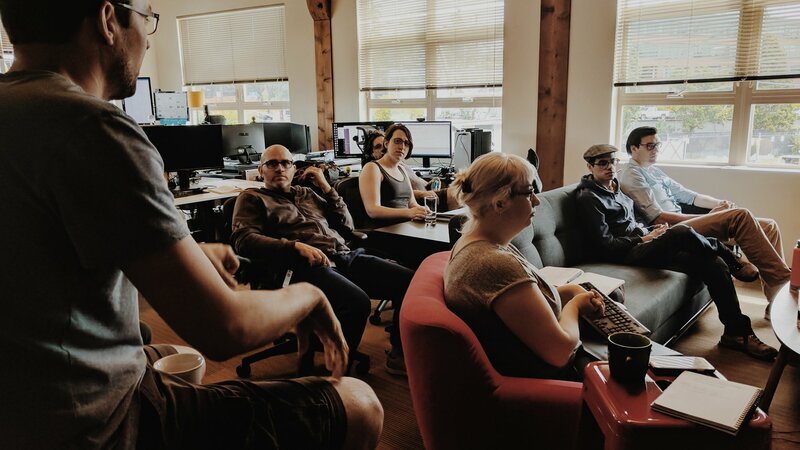 This time, however, my visit with the team was a really special one: Since I last visited the studio, which was back in December when we launched our pre-alpha, System Era had more than doubled in size and moved to a brand new office. There are now ten people working on Astroneer, six of which joined the team after we launched the pre-alpha on Steam and Xbox. 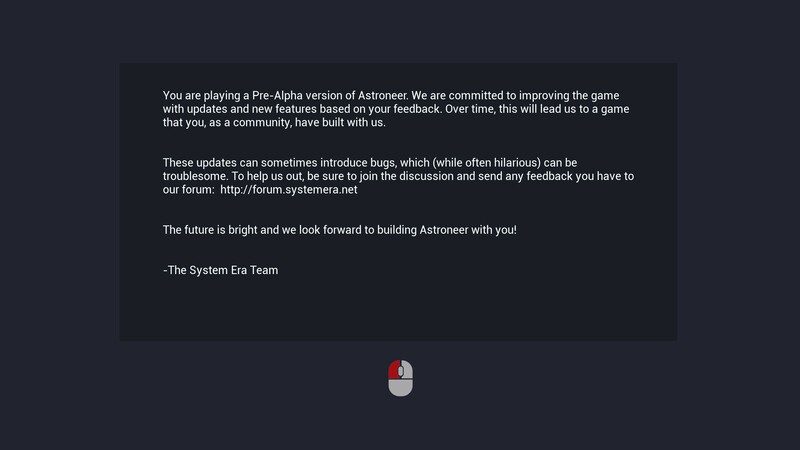 With 60% of the System Era team new to its development after we had launched, it was becoming apparent that we needed to re-address our development and communication strategy of Astroneer. Individually, the (mostly new) members spent time planning and discussing goals of the road map. With so much fresh, new perspective, this exercise was important to us. However, in doing so, discussions about our progress have popped up. So, while later this week Veronica is going to be updating you on our development strategy – including the brand new road map – based on the team’s thoughts around it, today I wanted to share some of our thoughts on System Era’s progress as a team over the past six months. As I write this, Astroneer will have been out and available as a paid-alpha for just over six months. That’s a substantial amount of time for a game to be in pre-alpha on Early Access and Game Preview. Lots can be worked on (or not), decided (or not), shared (or not), improved (or not), and fixed (or not). If you’re someone who has been supporting us since the beginning I am sure you have your own take on those things (share them with us!) 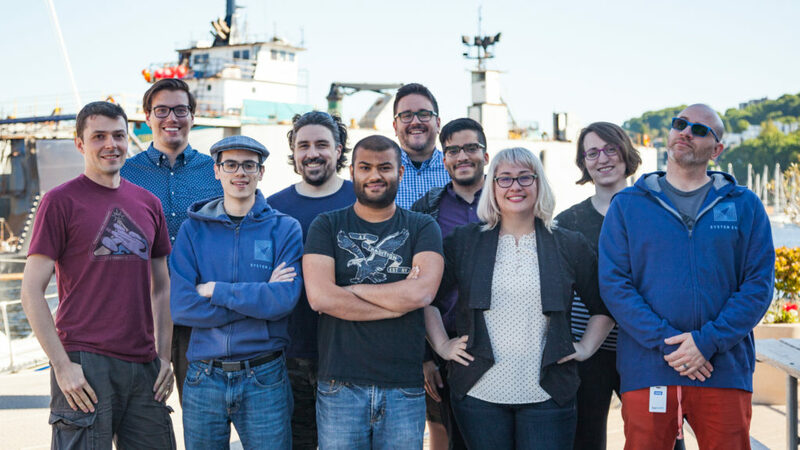 Through our own discussions as a team, I wanted to share with you where we feel we’ve succeeded, what we can improve, and how we’ll make those improvements based on we’ve learned about ourselves from the last six months. 1. We shipped Astroneer as a paid alpha on multiple platforms. 2. When we communicate, we communicate honestly and openly. We communicate in many ways (Tweet, comments, replies, blogs, streams, etc.) to reach as much of our supporters as possible. 5. Handled the departure of a founder and the death of another the best we could, which is to say very well. 6. Worked through a myriad of situations necessary to run a business, in addition to working on the video game itself. To summarize this, the game did well. Better than anyone on the team thought it might do, and a big reason why it did was a direct response to us being communicative. Handling the results of that was a tough task, but we feel like we came out in a good place, and are currently on a good path to make the game we always wanted to make. We also scaled up pretty well. We immediately realized that we needed to get more people, and went out and got them. 1. A lack in communication around the progress of the game and our definition of “pre-alpha”. 3. Better communication around what effect major disruptions can have on a company that is as small as ours. 4. Be more disciplined around shipping regular updates. What we won’t argue, is that we could have communicated better just how early in development we were. Then, once the big influx of new players jumped in, we should have also communicated how that pushed back deadlines, and overall changed the scope & development of Astroneer. That left us with changes to the plan, and we didn’t communicate that well. That will not be a problem going forward, as one of the roles we just filled is someone working on communications full-time. 1. Define our development strategy and communicate it through an updated road map. 2. Expect to see the road map this week! 3. Strive to maintain a 3-4 week update cadence of the game. 4. Better define and communicate the state of the game, specifically what we mean by “pre-alpha” and what that looks like when applied to Astroneer and where it is progressing. 6. Double-down on our approach to open, honest, and modest communication about what we’re doing and who we are. No good post-mortem works without some action items. The brand new updated roadmap is going to be the driving force behind all decisions we make going forward. It took some time, but we as a team feel like the roadmap covers everything we want before we consider before a 1.0 release. The plan is to make it a bit more digestible, and point to it whenever we can to show where what we are working on fits. We are still going to keep up with a regular flow of updates, while simultaneously updating you on progress, with the goal of delivering a game that we are all happy with, simultaneously developed with you. Looking forward to sharing the updated roadmap tomorrow! If you want to continue the conversation, check out the forum post about this here!